There is plenty of advice on the web about how to grow your Facebook page from soup to nuts. But, once your page is up and running and you have an audience…what happens next? You’ve set up your clever bio. You post relevant content. Your audience is beginning to grow. Now what? Your Facebook page was not set up just for likes and comments. Most reasons to set up a Facebook page include driving traffic to your website, promoting a product, driving traffic to your retail location, and raising brand awareness. All of this is done for the purposes of free advertising (remember, the Internet IS free!) Be sure you are spending more time and straregy on the types of posts that relate to your main goal. For example, if you want to create brand loyalty, you can focus on polls that ask followers questions and use your results to improve your brand. If your objective is to promote your products then you can focus on your brand’s videos, creative product imaging and so on. Be sure to tell your followers where you want them to go using the “call to action” button. There can be a link clink to your website or a click to call or even simply a click to send a message. This is a great tool to post based on when the audience is tuned in. Don’t forget to monitor your page on its own…it may not always follow these guidelines. If your audience is across the country, tune into their time zone. If your audience are mostly late night gym-goers, post away at night. Monitoring your page will help determine the bests times for your page. This can be done utilizing the Insights tool provided by Facebook, allowing you to analyze your engagements, impressions, and reach. Ensure that you are posting material that your audience likes. Again, monitoring your page Insights will allow you to gauge what your audience finds useful and what does not go over so well. Try something new every now and then as well; you never know what will stick unless you try. Don’t forget to interact! You want engagement from your followers and be sure you engage in return. Like and comment on your audience’s comments. Reply to questions. Don’t ignore the negative comments either! Make sure you engage with your audience and they will continue to engage back. Engagement can turn into sales! Don’t ignore new algorithms and promotion tools. Always be a step ahead! For example, did you know that you can tailor audience optimization as part of your marketing strategy? Take a look at your last post; you can tailor your audience if you turn ‘on’ audience optimization in settings. Not all pages need this but if you want to tailor your posts check it out, monitor your page and see if this tool works for you. You can choose who can see the post by location, interests, age etc. Consistency is key! Growing your page takes time and patience as much as it does creative, unique content. Don’t leave it alone; keep posting and engaging. Unsure of what to post on your social media accounts? So busy that you come across as a robot rather than the human business owner that you are? 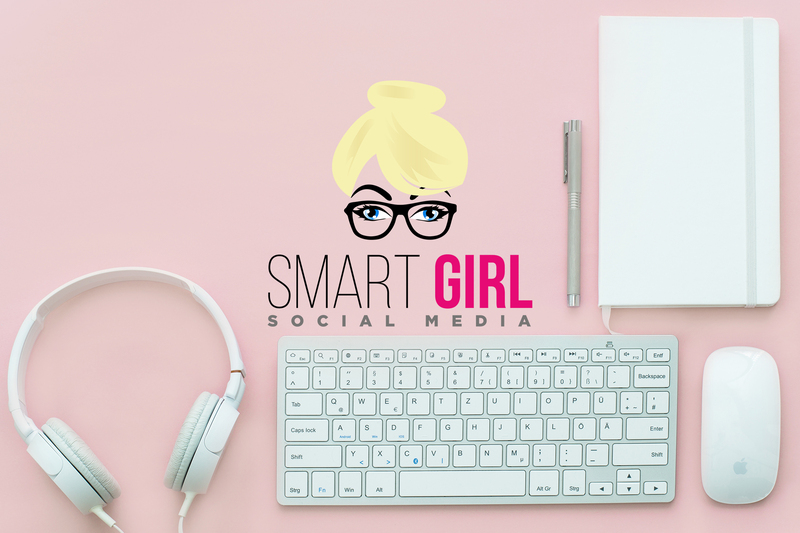 Smart Girl can alleviate your stress and post engaging content, replying to your customers so they remain the loyal fans that you…and they..deserve! Call me and see how I can help! Previous PostPrevious Snapchat for…Small Business? Next PostNext Are Hashtags OK For Facebook?